Since 1966, Arthur Hills has delivered hundreds of beautiful, thrilling, award winning designs to golfers all over the world. With over 190 original designs and 120 renovation projects, Arthur Hills has become one of the most respected and admired golf course architects in the modern era. His renovations include renowned clubs such as Oakmont, Inverness, and Oakland Hills, and his original creations have graced Golf Digest’s Top 100 list, won Golf Digest’s Best New Public and Best New Private Course awards, and garnered dozens of top State and ‘Best in Class’ rankings that are too numerous to list here. Locally, Arthur Hills has completed renovations for Bethesda Country Club, Burning Tree Club, Chevy Chase Club, Congressional Country Club, The Manor Club, Woodmont Country Club, and Belle Haven Country Club, as well as designing the second 18 at the Lowes Island Club. Not surprisingly, fifty of his designs have been chosen to host prestigious tournaments and events on the PGA, LPGA, Senior PGA, and European PGA Tours, as well as USGA Championships, Collegiate championships, Mini-Tour events and nationally televised Made-for-TV events such as the annual Skins Game at Bighorn Golf Club and Shell’s ‘Wonderful World of Golf’ match play event played at both Bay Harbour (ranked the 8th Best Public Golf Course in the United States by GOLF Magazine) and Longaberger Golf Club. 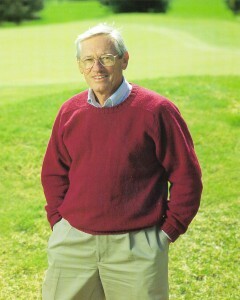 Of all the awards and accolades bestowed upon Arthur Hills’ designs however, perhaps the greatest testament to his broad and enduring appeal occurred rather quietly, when, in the only poll of its kind conducted in the mid 1990’s, 535 course rating panelists for Golf Digest Magazine selected Arthur Hills as one of the Top Five “Favorite Present-Day Architects”. In addition to Blue Mash, Arthur Hills collaborated with his son Joe and partner Tom Healy on Waverly Woods in Ellicott City, as well as Chicago Highlands, an amenity laden, family country club located in the near western suburbs of Chicago. Follow this link to learn more about Arthur Hills and Associates.